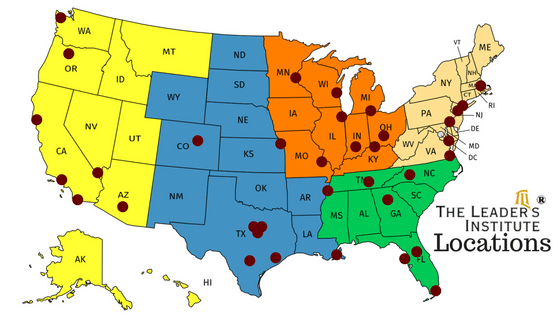 Leader’s Institute ® Team Building Locations. 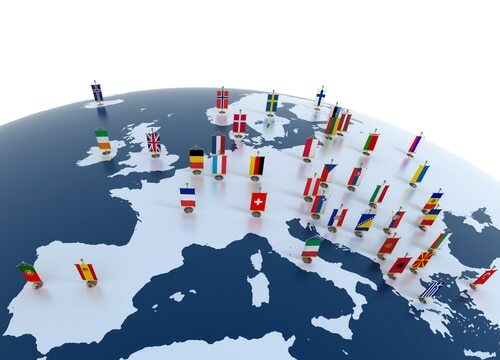 The Leader’s Institute® offers corporate team building activities within 200 miles of all major cities in the United States, Canada, and Europe. We have offices and instructors in our home office of Dallas/Fort Worth, Texas. In addition, we also have instructors and offices in other major cities. First, on the West Coast, we have offices in Seattle, Los Angeles and San Diego. Plus, in the Central US, our home office is in Dallas, but we also have instructors in Chicago. 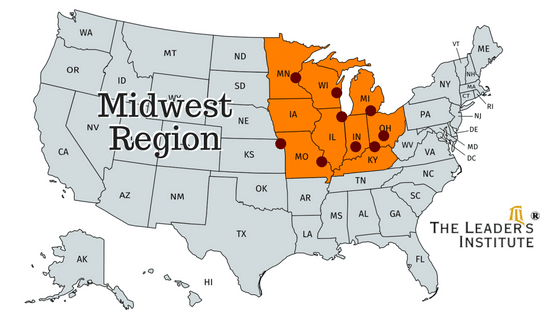 The Midwest region has the Chicago instructors plus an office in Cincinnati and Detroit. 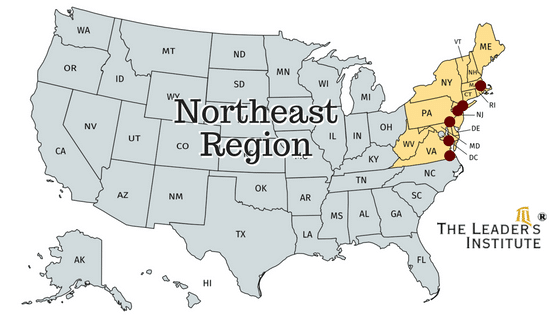 In the Northeast Region, we have instructors in New York, Washington DC, and Philadelphia. Also, we have instructors in Atlanta, Orlando and Charlotte. Finally, our Austria office covers Europe. So, no matter where your team building activity is located, we have an instructor within driving distance or a short flight. 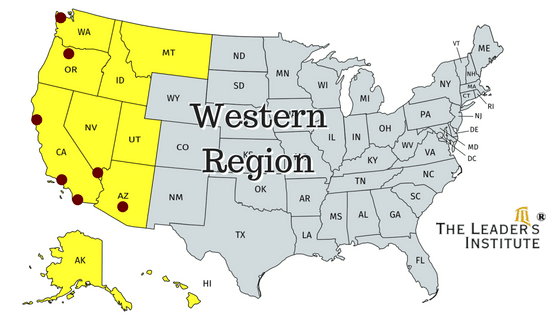 The Western Region team building locations cover every city in The US west of Denver which includes Seattle to the San Francisco Bay Area down to Los Angeles and San Diego. Although not mapped, we also do programs in Hawaii and Alaska as well. 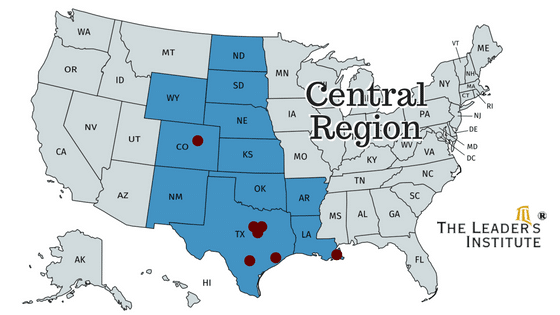 The Central Region team building locations cover the heart of The US including our corporate headquarters in Dallas as well as other cities in Texas like Austin and Houston. We also cover St Louis and Kansas City up to Chicago and Minneapolis as well. The team building locations in the Midwest Region includes two major cities and surrounding areas. One is in Chicago and the other is in Columbus, OH. These instructors cover all surrounding areas including Madison and Milwaukee near Chicago and Detroit, Cincinnati, and Cleveland in Ohio. The Northeast team building locations cover the major metropolitan areas in the Northeast including the major cities of New York, Boston, and Philadelphia. In addition, the Boston, New England, area, includes Providence and Hartford, and the New York area includes New Jersey. 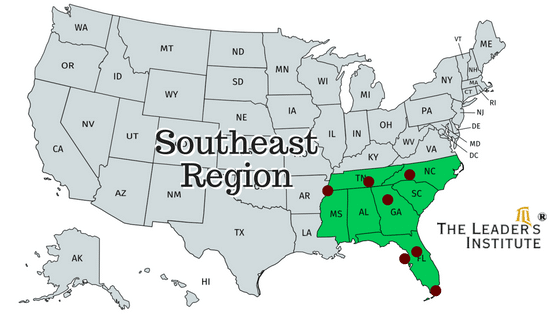 The Southeast Region includes the East Coast cities from Baltimore down to Washington DC as well as Atlanta in Georgia and Charlotte and Charleston in the Carolinas. We also cover all of Florida including Miami, Orlando, and Tampa. We offer over a dozen different programs including philanthropic events, workshops, seminars, and breakout sessions. For details about all of the options that are available in each location above, click the Team Building Events link in the tool bar at the top of the page. We look forward to working with you on your next program!